Climate Change impacts would disproportionately have larger impacts on the developing countries. Both government and development agencies have initiated various adaptation strategies in the developing countries to enhance the adaptation of the local communities. Various policies and programmes have been designed keeping in mind the impact of climate change. This study was conducted in Darjeeling district of West Bengal, India, to see the benefits of such policies and programmes. Focus group discussion with community members were held in the study area. Based on the fieldwork it was seen that most of the intervention made in the study area focused on income, resources, and assets. It has failed to benefits the people due to variation in the capability among various section of the society. Various projects related to health, education, housing, and livelihood, have been implemented in the study region. However, due to lack of conversion factors in the form of gender inequality, discriminatory practices, transparency among others have come as a hindrance in the successful implementation of the projects. Hence, such project-based approach to enhance community's adaptation to climate risk, in the end fails to show benefits as it fails to expand community's capabilities and real freedom, due to the project's pre-defined aims. It is important to understand community's as agent of change rather than merely beneficiaries of adaptation projects. 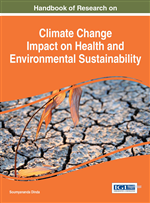 This study therefore recommends that to enhance community's adaptation to climate change, the interventions should be such that it enlarges the range of people's choices so that when climate disaster strikes them they will have a set of opportunities. Climate change is gaining importance as scientific and socio-economic studies have brought forth substantial evidences (American Meteorological Society, 2012; Norris et al. 2008; Agrawal& Perrin, 2008; Paavola, 2008; IPCC, 2007; UNFCCC, 2007; Adger& Kelly, 1999). The impacts of climate change are more likely to be adverse in developing countries due to their high dependence on climate sensitive livelihoods like rain-fed agriculture, and forestry (Moorhead, 2009). Climate change policies are crucial for enhancing adaptive capacity of an individual. Institution plays an important role in community’s adaptation to climate change (Berman, Quinn, & Paavola, 2011). The human development report of 2007-08 also declared that climate change has limited the choice of an individual and would further erode ‘human freedoms’ (UNDP, 2007/08). Here, human freedoms refer to the capabilities, which depend upon the choices and opportunities available to him/her (Sen, 1999). Capabilities enable individual to chose a particular option (like resource, assets, opportunities etc) and convert it into useful functioning. Climate change by eroding human freedoms reduces the choices and opportunities available to an individual. Therefore, it is important to internalize the linkage between ‘capabilities’ and ‘adaptive capacity’ to withstand the impacts of climate change in the context of developing countries. Various researchers have established that larger burden of climate change disproportionately falls in the developing countries (Agrawal& Perrin, 2008; Norris et. al 2008; Paavola, 2008; UNFCCC, 2007; Adger& Kelly, 1999). Further, poor people in developing countries tend to be more vulnerable due to limited opportunities and choices, limited land holding size, and lack of access to market among other factors. Within the members of poor community, women are more vulnerable to the impacts of climate change due to lesser economic, political, and social opportunities in the society (Habtezion, 2011). Women are mostly responsible for activities like fetching of water, fuel wood, fodders, and other agriculture activities. Any changes in the climate would adversely affects the sources of water, fuel wood, fodders, and agriculture thereby increasing the workload of the women. Due to various cultural and social norms, unequal decision-making process, women are more likely to be affected by the impact of climate change. Taking into consideration the aspects of climate change and its variation, this study makes an attempt to see the following research questions in Darjeeling districts of West Bengal.